Chaya Mallavaram who was born in India and lives in the United States, is a self-taught artist and has been drawing since she was a young child and painting for over 25 years. She lives in Massachusetts and paints mainly in acrylics and oils on canvas. Chaya brings a subtle and sophisticated feel to her paintings through a unique balance of color, composition and texture. As a self-taught artist, her approach to art is non-traditional. She does not attempt to follow the traditional rules of art, but rather lets her feelings and intuition guide her. 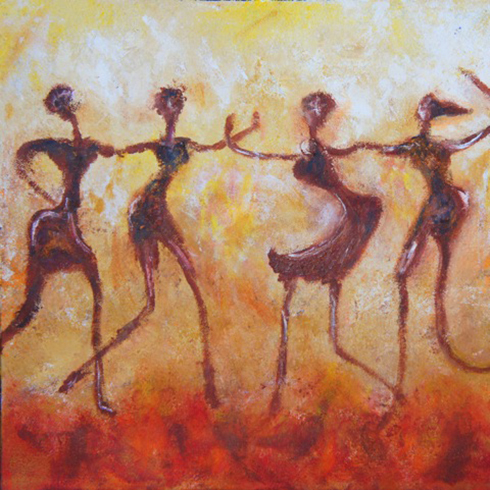 She strives for her work to convey positive emotions and invoke an uplifting response to the viewer. Chaya’s paintings are held in private collections around the world.